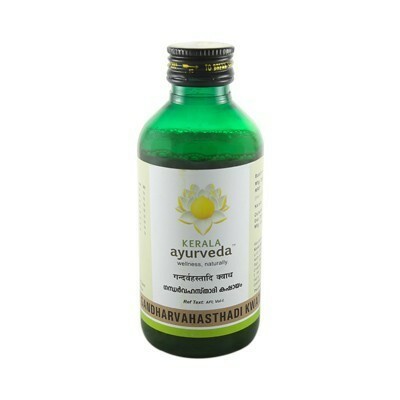 Search "Kerala Ayurveda" 300 results have been found. 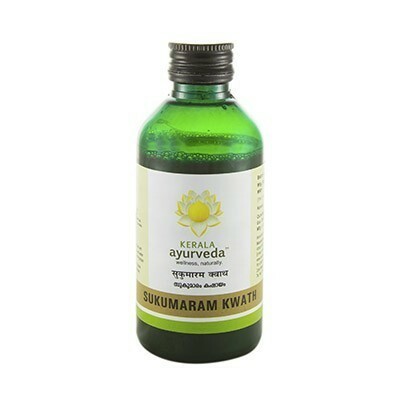 Sukumaram Kwath is Psychotropic. It improves Digestion. Dasamoolakaduthrayam Kashayam TAB: Expectorant, Bronchodilator, Carminative, Digestive, Analgesic. Prenatal and postnatal maternity care, Nervous diseases like Hemiplegia, Facial paralysis, Convulsive disorders, Wasting, Numbness, Gas trouble, Dysuria, Fever, Diseases of female genitalia. Drakshadi Kwath is Cooling, Refreshing, Haemostatic, Anti-toxic, Anti-pyretic, and Anti-emetic. Allergic disorders, Respiratory spasm, Pulmonary tuberculosis, Cough, Dyspnoea, Chest pain, Allergic rhinitis. Rheumatoid arthritis, Skin diseases of VATA & KAPHA , Chronic ulcer, Obesity. Burning sensation, Oedematous condition, Hyper acidity, Fever, Anorexia. Rheumatic diseases, Distention, Flatulence of abdomen, Hyperacidity, Retrosternal pain, Intermittent fever. Mahamanjishtadi Kwath is a Blood Purifier and Immuno-modulator. It improves the circulation of Blood. Rheumatic disease, Hemiplegia, Tremor, Spondylosis, Frozen shoulder, Sciatica, Facial palsy, Degenerative diseases of the joints. Mahathikthakam Kwath is Anti-inflammatory, Anti-infective, Immuno-modulator, Psychotropic, Carminative, Digestive & Laxative. Manjishtadi Kwath: Anti-inflammatory, Anti-rheumatic, Anti-bacterial. Nimbadi Kwath is Anti-inflammatory, Antiseptic. Nisakathakadi Kwath: Hypoglycemic Action, Anti-septic, Blood Purifier, Anti-oxidant. Patolakatukurohinyadi Kwath is Anti-toxic, Anti-emetic, Anti-inflammatory, Anti-pyretic, and an Appetizer (Kaphapittaghnam). Prasaranyadi Kwath is Anti-rheumatic, Carminative.